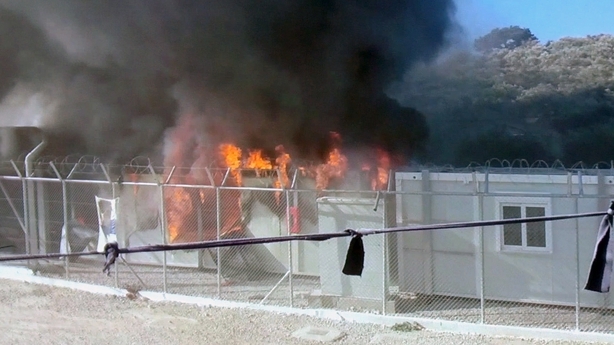 Angry migrants set fire to a camp on the Greek island of Lesbos after a woman and her child died following a gas cylinder explosion, local police have said. Three children who were in the same tent were critically injured, police said, adding that the explosion occurred while the woman was cooking. Firefighters arrived at the scene to try to put out the flames. 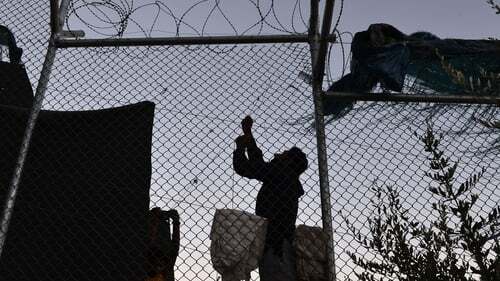 Several fires have erupted in refugee camps on the Greek islands, where some 16,000 people became stranded after the European Union signed a deal that was aimed at stemming the influx of migrants. Moria has a capacity for 3,500 people but currently houses more than 5,000. Part of the camp was badly damaged in a fire on 19 September during clashes between migrants and police, and thousands had to be moved out before returning two days later. Nearly 66,000 refugees and migrants are currently stranded in Greece, according to official figures.